Canopy Growth Corp (NYSE:CGC) did a tremendous job holding up through the volatile first half of October. While the S&P 500, Nasdaq and other well-known indices and stocks were getting hit, CGC stock was holding steady and actually rallying. With Canada legalizing recreational marijuana use today, does that make Canopy Growth stock a screaming buy? Perhaps not. Think of it sort of like an earnings event. If your stock — call it Netflix (NASDAQ:NFLX) or Twitter (NYSE:TWTR) — were up 100% over the past three months like CGC, would you be a buyer before the quarterly release? I know I wouldn’t be. They call this a sell-the-news event. Meaning that the stock rallies ahead of the news or event and then sells off when the announcement is made or the expected change goes into effect. That’s exactly what we’re seeing in CGC stock. That doesn’t make Canopy Growth stock a bad company or an unworthy investment. Simply, the timing wasn’t great, and to be honest, it’s an expensive stock. Many investors want in on CGC stock, particularly after Constellation Brands (NYSE:STZ) made a $4 billion investment in the company. But at what price is right? Consider that at current prices, Canopy Growth commands a market cap north of $10 billion. Yet, in fiscal 2017, CGC had revenue of just $78 million. That puts the stock at more than 130 times last year’s revenue. After nearly tripling its SG&A expenses from 2016 to 2017, Canopy couldn’t turn a profit last year either. In the last two fiscal quarters, Canopy has widely missed analysts earnings expectations, reporting a loss per share of 31 cents and 40 cents, while expectations were looking for losses of just 8 cents a share and 15 cents per share, respectively. However, revenue grew by 55% year-over-year in fiscal Q4 and 63% in fiscal Q1 2018. So the sales growth is certainly there. Look, investors aren’t looking at pot stocks for what they’ve done, they’re looking at them for what they can do in the future. A big investment from Constellation Brands makes Canopy the most trustworthy in the group. That’s nothing against names like Tilray (NASDAQ:TLRY), Cronos (NASDAQ:CRON) and others. But when a well-run alcohol conglomerate like STZ plunks down $4 billion and takes a 38% stake, faith in that name increases quite a bit. Admittedly, there’s big-time applications of cannabis, ranging from medical to recreational. It’s approved for medical use in 30 U.S. states and recreational use in eight others. Canada is coming along and it seems more like a “when” not “if” situation for its advancement in the U.S. If booze and cigarettes are legal, it’s hard to imagine pot won’t find its way to legality soon enough. Still, that doesn’t make it easy to value these names. Even with 100% revenue growth in 2018, we’re talking about just $156 million in sales for a $10 billion company. As a result, CGC stock is still expensive. Management believes the cannabis market will eventually be a $200 billion a year business. If that comes to fruition, CGC is likely cheap at current levels, but it all depends on when. That leaves investors with a lot of guesswork, particularly on a stock that’s up almost 400% so far this year. But simplicity works best, so let’s sort it out. There’s clearly a trend toward legalization and increasing uses of marijuana, whether that’s for pain and inflammation, anti-anxiety, recreational and even disorders like epilepsy. With STZ staking a near-40% stake in CGC, we know there’s a sort of “floor” in the name. While the fundamentals are tough, the technicals aren’t so much. 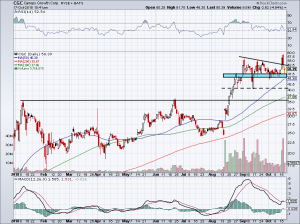 Below this $45 to $48 level and CGC stock will start to look dicey. 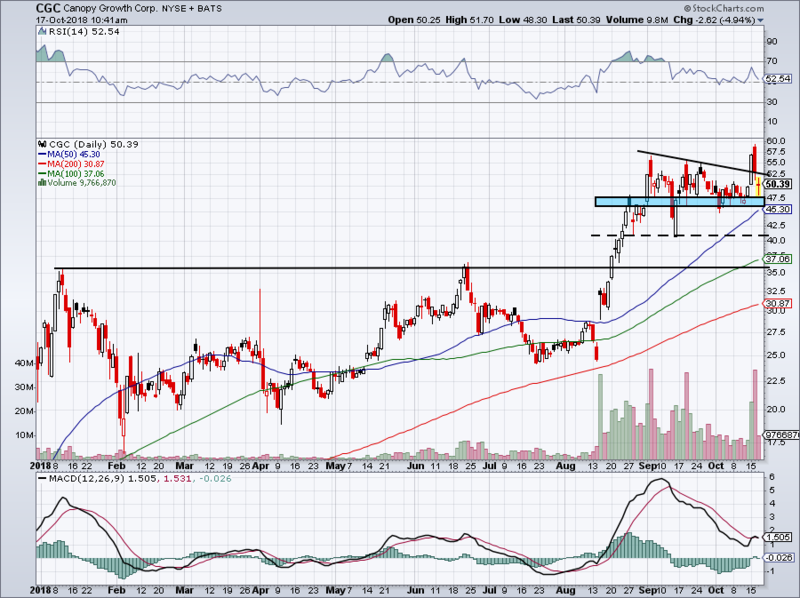 It put in a false breakout earlier this week ahead of Canada’s legalization and is struggling to stay north of $50. A break of the 50-day moving average could get it down to the $41 area, but I’m waiting for a breakdown back to the $35 to $37 area. This was a big breakout level and the 200-day could be in play near this mark, too. Let’s see if we get some selling pressure. Bret Kenwell is the manager and author of Future Blue Chips and is on Twitter @BretKenwell. As of this writing, Bret Kenwell held no positions in any stocks mentioned. 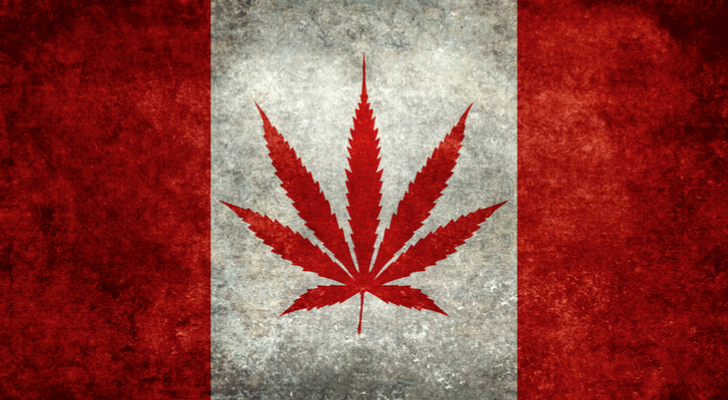 Article printed from InvestorPlace Media, https://investorplace.com/2018/10/buy-cgc-stock-canopy-growth-canada-legalizes/.